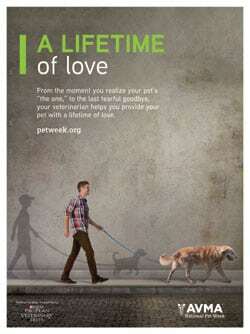 To celebrate this special bond between people and their pets and mark the 35th anniversary of National Pet Week®, the American Veterinary Medical Association (AVMA) with support from Purina Pro Plan Veterinary Diets are offering veterinary clinics complimentary copies of the Lifetime of Love poster during National Pet Week (May 1 to 7). “This poster is a beautiful reminder of the bond we share with our pets throughout our lives, “said Dr. Joe Kinnarney, President of the AVMA. 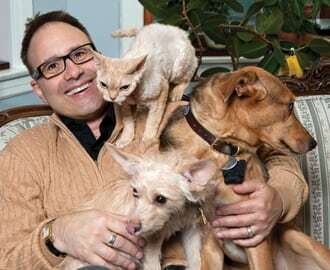 “At Purina we believe pets and people are better together, so we’re excited to team up with the AVMA to celebrate National Pet Week® and the joy pets bring to our lives,” said Purina veterinarian Dr. Kurt Venator, DVM, PhD. “It’s important for pet owners to remember that veterinarians play a vital role in enriching the bond between pets and people, and this celebration is a great reminder. Veterinary experts joined together to provide pet owners with little things you can do to make a big difference in extending the length and quality of your pet’s life. Select the pet that’s right for your family’s lifestyle, and make a commitment to that pet for its life. Even if you have already welcomed a pet into your home, your veterinarian can help you understand the social and healthcare needs of your individual pet. Learn about how to make your pet comfortable and appropriately prepare your pet to enjoy interactions and be comfortable with other animals, people, places and activities. With an estimated 52.7% of dogs and 57.9% cats in the United States considered overweight or obese, the AVMA encourages regular exercise, not only improve cardiovascular health, maintain a healthy weight, support good mental health for both owner and pet, but to strengthen the human-animal bond. For tips on walking, running or starting an exercise program with your pet, visit avma.org/Walking. The AVMA supports the United States Surgeon General Vivek Murthy’s new initiative to promote walking, Step it Up! Wednesday-Love your pet? See your vet! 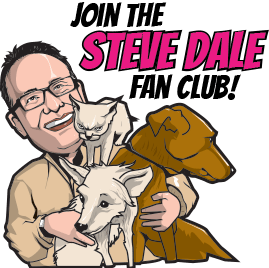 Everybody love’s their pet yet 53.9 percent of cat owners and 48.6 percent of dog owners do not take their pet to the veterinarian unless visibly sick or injured. Pets often hide symptoms of illness. Regular check-ups are vital to catching potential health problems early. Not only can early treatment mean better health for your pet, it can also save money. Do your part to prevent pet overpopulation. Talk to your veterinarian about the proper timing for spaying or neutering your pet. Avoid unplanned breeding through spay/neuter, containment or managed breeding. Include your pets in your family’s emergency plan. The AVMA offers a step-by-step guide to assembling emergency kits and plans for a variety of pets and animals. Thanks to better care, pets are living longer now than they ever have before – but as pets get older, they need extra care and attention. Regular veterinary examinations can detect problems in older pets before they become advanced or life-threatening, and improve the chances of a longer and healthier life for your pet. Visit the AVMA’s special page for senior pets to find out what is ‘normal’ and what may signal a reason for concern in aging pet. Contrary to popular belief, dogs do not age at a rate of seven human years for each year in dog years. Download the AVMA PetsAgeFaster chart to check your pet’s real age. Visit avma.org or petweek.org for additional information on improving the health and welfare of your pet and ensuring they live the longest, happiest life possible.